In a world thats never hated or feared mutants more, there is only one constant: BIGGER THREATS REQUIRE MORE THREATENING X-MEN. 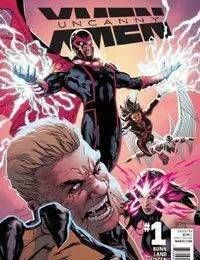 Refusing to accept one more mutant death, the most ruthless mutants on Earth have banded together to proactively mow down their enemies. But with a team populated by relentless killers, one question applies above all others: Can they stay away from each others throats long enough to sever their targets?